Master on Main END UNIT Townhome - 3 bdrm/2.5 bth open floor plan w/beautiful wood flooring. 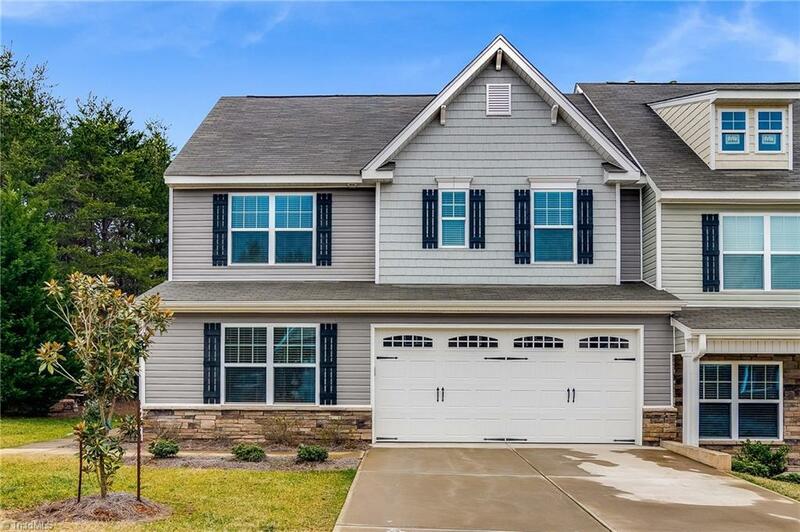 The 2 story great room is open to dining room & eat-in kitchen which has tons of cabinet/counter space.The luxurious master on main has trey ceilings, a walk-in closet & big bath w/ double sinks. Upstairs has 2 big bedrooms, an office/workout room plus a lifestyle loft/flex space. Private partially wooded backyard. Easy commute to I-40, HWY 68, PTI Airport & close to shopping/dining. Move-in Ready! Sold by A New Dawn Realty, Inc.